This nation is in Vacation Mode for the next 1,926 turns. This nation cannot be attacked or traded with during that time. Kingdom of Charentoire is a nation led by King Louis XXIV on the continent of Europe. Kingdom of Charentoire's government is a Constitutional Monarchy with very moderate social policies. Economically, Kingdom of Charentoire favors left wing policies. The official currency of Kingdom of Charentoire is the Franc. At 130 days old, Kingdom of Charentoire is a mature nation. Kingdom of Charentoire has a population of 78,497 and a land area of 5,950.00 sq. miles. This gives it a national average population density of 13.19. Pollution in the nation is a disaster. The citizens' faith in the government is completely depleted with an approval rating of 0%. 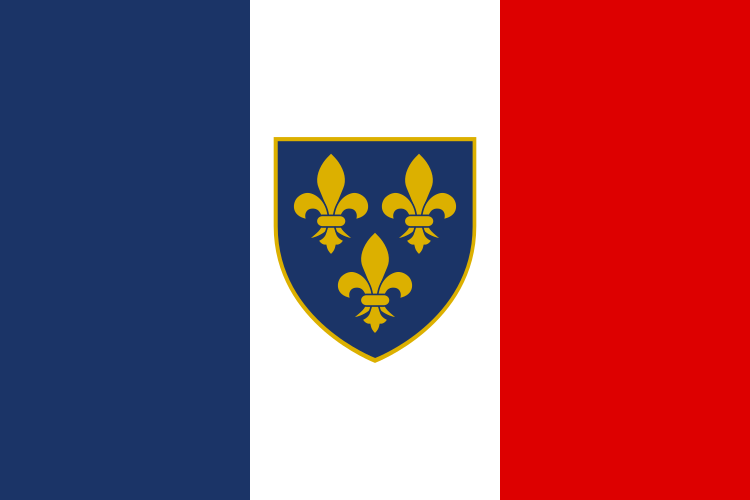 The Kingdom of Charentoire is a constitutional monarch located in Western Europe. 03/28 04:46 pm - Charentoire had war declared by Flergland for the reason of "i neeeeed itt I NEEEEEDDD ITTT". 03/13 08:10 pm - Charentoire had war declared by BaconTopia for the reason of "A not-so-general dispute". 03/13 01:13 am - Charentoire had war declared by Britian for the reason of "munies". 03/12 03:58 pm - Charentoire had war declared by Arctic Democratic Republic for the reason of "I am the LAW!". 03/03 06:42 am - Charentoire had war declared by Drekkzonian Empire for the reason of "Inactive raid.". 02/24 01:33 pm - Charentoire had war declared by Michigan for the reason of "inactive raid, offer peace if come online". 02/22 03:22 pm - Charentoire had war declared by Biawlou for the reason of "Arrgh!". 02/22 08:30 am - Charentoire had war declared by Aliens From Outer Space for the reason of "You brought this on yourself". 02/14 06:20 pm - Charentoire had war declared by united states o murica for the reason of "Do you feel lucky, punk?". 02/14 06:36 am - Charentoire had war declared by Akimaa for the reason of "Happy valentines day!". 02/14 01:04 am - Charentoire had war declared by Illuminnatti for the reason of "....". 02/07 11:54 pm - Charentoire had war declared by Rebington for the reason of "This, is, SPARTA!". 02/07 08:09 pm - Charentoire had war declared by North Brisbane for the reason of "We have come to liberate you". 02/01 04:26 am - Charentoire had war declared by Mexican Fourth Republic for the reason of "inacitve". 02/01 02:22 am - Charentoire had war declared by Nordic Coalition for the reason of "Message for peace". 01/23 07:01 pm - Charentoire had war declared by Shuriman Empire for the reason of "A not-so-general dispute". 01/23 04:30 pm - Charentoire had war declared by Wilderness Republic for the reason of "I couldn't come up with anything better than the default". 01/23 02:07 pm - Charentoire had war declared by Haven Maine for the reason of "123 456 789".